White patches or leukoderma is considered as social stigma in our society. But one should understand that it is just a melanin colour disorder and not a disease. But it affects the psychology of patient as well as whole family gets disturbed. At our clinic we provide all advanced treatments under one roof. Narrow band UVB light is useful for faster repigmentation in leukoderma. 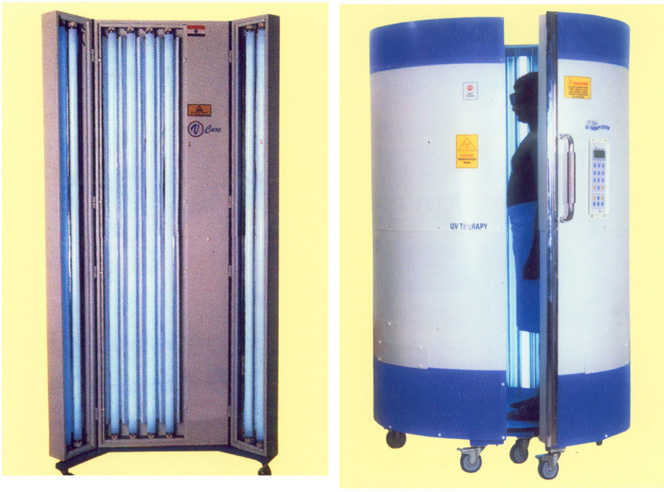 Phototherapy unit is a chamber containing 311 nm UVB light where patient has to expose twice a week for few months. This modality is safe and can be used in children, pregnant, and breast feeding ladies also. 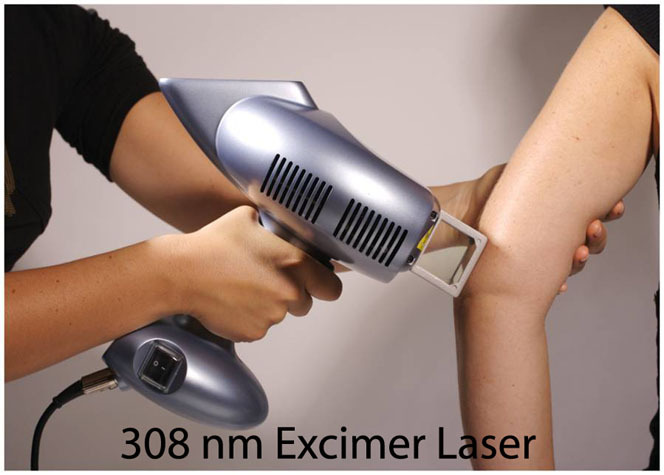 308 nm Excimer laser is useful for localized patches of leukoderma . It is safe and fast method for vitiligo and is done twice weekly. In this surgery, melanocytes ( colour cells) are taken from normal skin and are implanted on laser ablated leukoderma skin. This technique can covor 5 to 8 times area from donor site. It gives good colour match and excellent cosmetic outcome compared to other old methods of skin grafting. This teghnique requires meticulous laboratory and Operation theatre set up, which is there in our State-Of-The-Art clinic.